Our delicious plaice fillets are made of the European plaice. The European plaice is also known by its Latin name, which is Pleuronectes platessa. You can find the fish in the north-eastern part of the Atlantic Ocean, which is also known as FAO fishing area 27. The fish can also be found off all coasts from the Barents Sea to the Mediterranean. The European plaice is a very important fish for the Dutch fishing industry and the European market. Since the European plaice lives in the North Sea we are able to catch it ourselves with our own fishing fleet. After it is caught we immediately process and freeze them to keep the freshness of the fish. After all, plaice tastes the best when it is eaten as fresh as possible. Van der Lee Seafish is also MSC-certified, so we can ensure you that our plaice is sustainable. 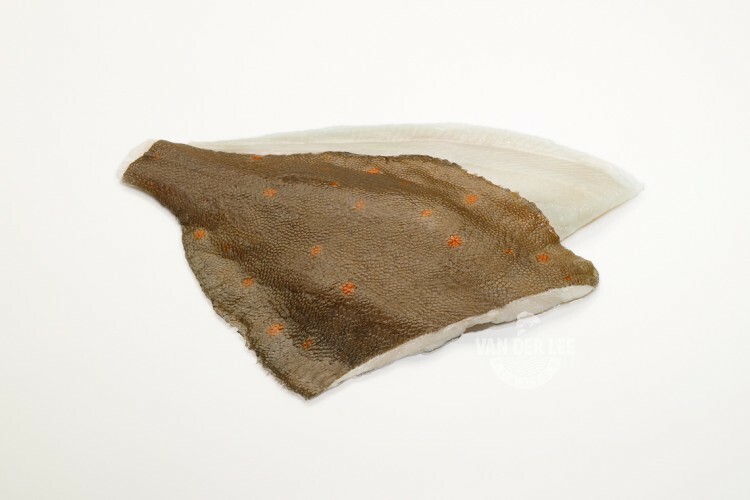 As a supplier we sell our plaice fillets with their black skin on and their white skin on. Thereby we have plaice fillets available in all sizes. We also have single or paired plaice fillets and pan ready plaice available at our ‘North Sea Fish’-page, Pacific plaice fillets at our ‘Fish Worldwide’-page and battered or breaded plaice fillets at our ‘Added Value’-page. The European plaice can be characterised by its brown skin with reddish or orange spots and its bony ridge between the eyes. The fish has a mild and slightly sweet flavour and its flesh is white and tender. It is especially tender in the spring, which is why there is a lot of trade in plaice around May. In Germany they call this ‘Maischolle’. When it comes to food, plaice fillets are really healthy. Just like every fish product, they contain a lot of B vitamins and protein. Plaice fillets are also low in calories, which makes them suitable for people who are on diets too. The fillets also do not contain any carbohydrates, unless you bread or batter them of course. Plaice is popular in a lot of countries. However, we export our plaice fillets mainly to the United Kingdom. In the United Kingdom they sometimes use the fillets as the fish in fish and chips. Fish and chips is a dish which consists of battered fish and deep-fried chips. You can serve fish and chips with mushy peas as a side dish too. Another way to prepare plaice fillets is to season them with some herbs, sea salt, olive oil and lemon juice and bake it in the oven. Plaice fillets are also delicious when you roll them up and stuff them with tomato and basil. You can serve them with a leek and cheddar topping too.